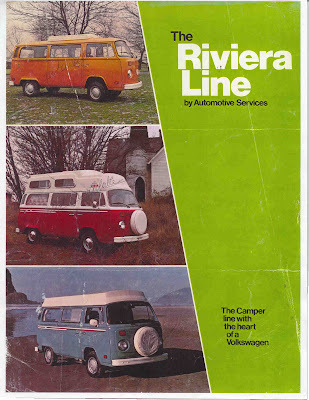 Riviera Motors was the Beaverton, Oregon based regional distributor of Volkswagens. 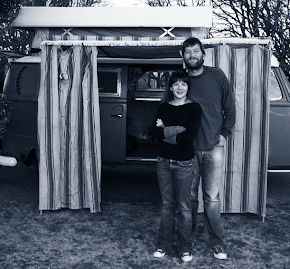 At some point they decided to contract with ASI (Automotive Services, Inc.), based in the Vancouver, Washington area, for Type 2 camper conversions modeled after Westfalia Campmobiles. Why Riviera decided to do this is a puzzle, because Campmobiles sold like hotcakes in the Pacific Northwest. True - they sold so well that Riviera Motors could not keep their downstream dealers supplied. VW offered the following take-it-or-leave-it deal: You get X number of Westfalia campers when you buy Y number of pickups and panel vans. This posed a problem to Knute Qvale, owner of Riviera Motors. VW pickups and panels were slow movers, prone to "lot rot." Knute knew a cabinet maker named Lasko and assigned him to design and build a camper conversion that would work with the VW panel. He then imposed a new regime on his downstream dealers: You get X number of Westfalia campers when you buy Y number of my "Riviera" campers. The dealers were hesitant at first, but once they'd seen the workmanship of the conversion, they got on board. This was in 1965. 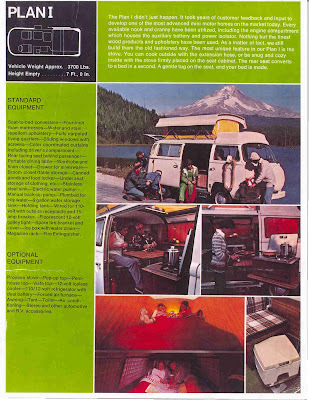 Wherever there was a car show or fairgrounds display of new vehicles, one of the top 2 or 3 "people-magnets" would be a Campmobile all set up with a side tent, poptop, lounge chairs, picnic table, etc. on an expanse of artificial grass and surrounded by potted palms. You had to stand in line just to get a peek inside! 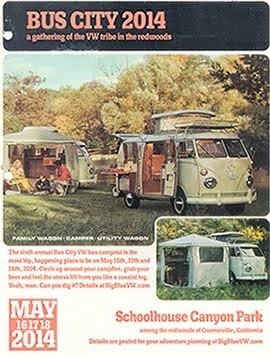 The first ASI campers I recall were 1973 Type 2 conversions. There may have been earlier models, but starting with the '73s it became impossible to find a Westfalia for sale new in the region. 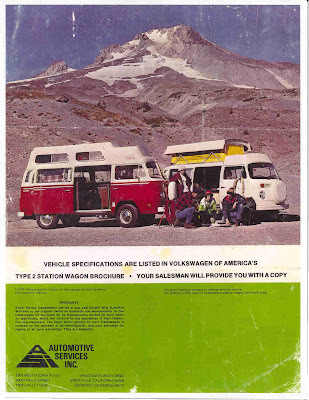 A good friend bought Pete Lovely VW's (Fife/Tacoma, WA) 1972 demonstrator Campmobile in early 1973, because they didn't have any '73 Campmobiles available (but plenty of ASIs). Over the years the ASI conversions became (in my opinion) more and more like mini-motorhomes, and less like campers. ASI used their own poptop that is similar in appearance to Westfalia's, but actually quite different in execution. The cabinets, etc., were initially clones of Westfalia's designs, but diverged over the years. All of the fittings, hardware, etc. in ASI rigs are pretty standard mobile home/RV stuff. Mostly true. Every year the sales reps from Westfaliawerk would arrive in Portland to see what new things Knute was adding to his campers. 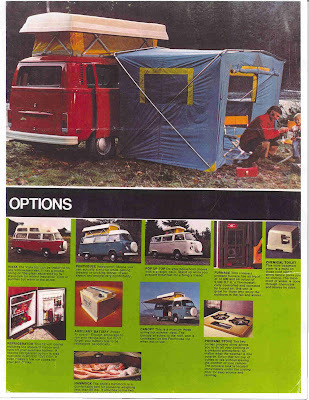 Many of those ideas appeared in next year's Westfalia. They exchanged ideas on what hardware held up and what layout seemed to be popular. Westfalia also used off the shelf RV parts, some still available in European RV shops. I believe they converted Type 2s that were delivered to Riviera Motors by VW as Station Wagons. Two of my friends drive late-'70s ASI conversions. Theirs, and others I've looked over, show all the signs of having been built and fitted out as Station Wagons, then stripped by ASI and reincarnated as campers. I've never seen an ASI conversion with a reinforced chassis, for instance, but I have seen ones that clearly had originally been built with a sunroof. ASI campers, being much lighter than their German counterparts, usually did not require a belly pan. I've seen one that did, but as a double door panel, it would've had one anyway. If ASI continued converting VWs after the 1979 model year, I'm not aware of having seen one. That may be because I haven't really paid much attention to Vanagons. They continued on to the mid-80's. Al Lasko, son of the original cabinet maker, is still in business in Vancouver. He's been doing van conversions since demand for Vanagons petered out a few years ago. I've got him on video, looking over the interior of my Riviera and commenting on the originality of it. 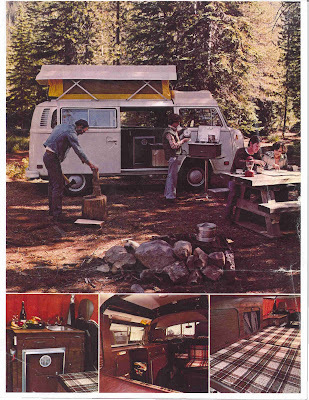 When I bought BigBlu in 1969 (I think that was the year) it did not have the camper top. It was as you have it inside but with a fake wood roof which ran the entire length. When my ex-wife became pregnant with our first child we felt we needed more room in the bus. Thus the poptop (full length) was added by a company in Santa Cruz I think. We loved the addition since it added way more head room, sleeping room and storage. Plus I like the fact the raised roof was parallel to the body as opposed to the space-reducing unit you see on Westphalias. Keep up the great commentary. Photos on the way in the not too distant future.